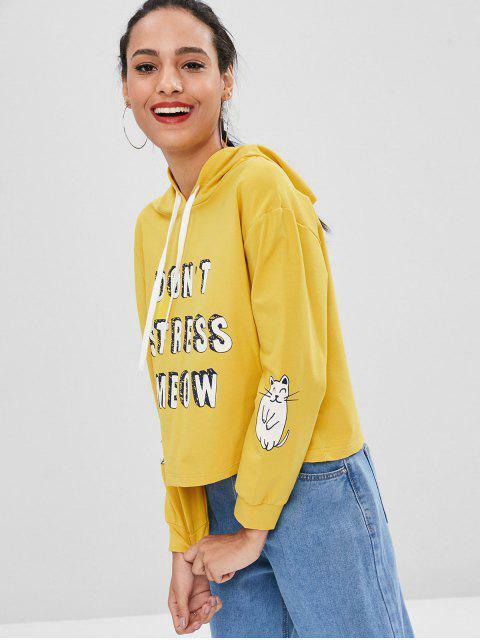 [57% OFF] 2019 Letter Cat Pullover Graphic Hoodie In YELLOW | ZAFUL ..
Channel a refreshing, youthful look with our cat graphic hoodie. 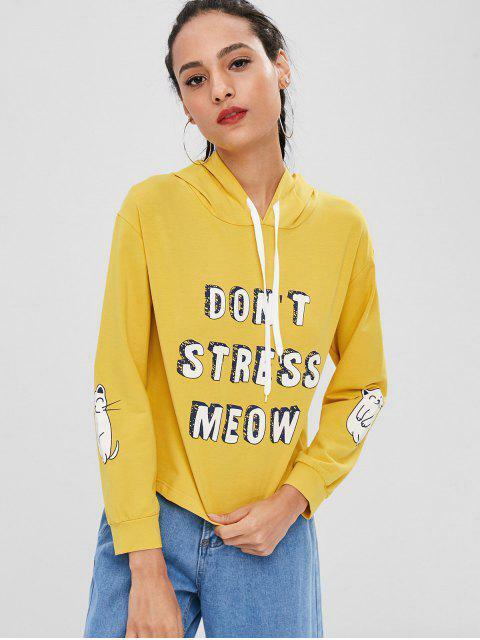 It features a slouchy hood with a drawstring detail, long sleeves with a cat graphic, and a front text print that reads 'DON'T STRESS MEOW'. 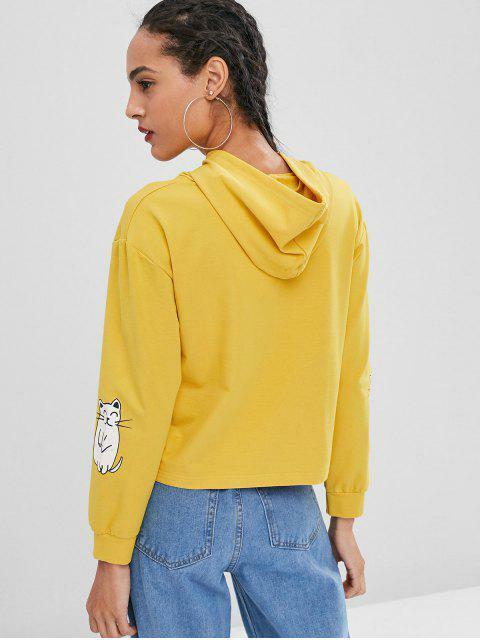 Pair it with slim jeans, leggings, and joggers alike.